We are saddened to learn today that the former Efteling designer Ton van de Ven has passed away suddenly at 71 years old following a stroke. He was responsible for the design of many attractions in Efteling, including Spookslot (his first), Droomvlucht, Fata Morgana, Villa Volta, Vogel Rok, and many fairy tales in the Sprookjesbos. He worked with Anton Pieck during his early years at the park, translating Pieck’s drawings into the attractions that we see today. In 1989 he became the creative director of Efteling. Although taking early retirement from Efteling in 2003, he would sometimes make appearances at the park during special events. 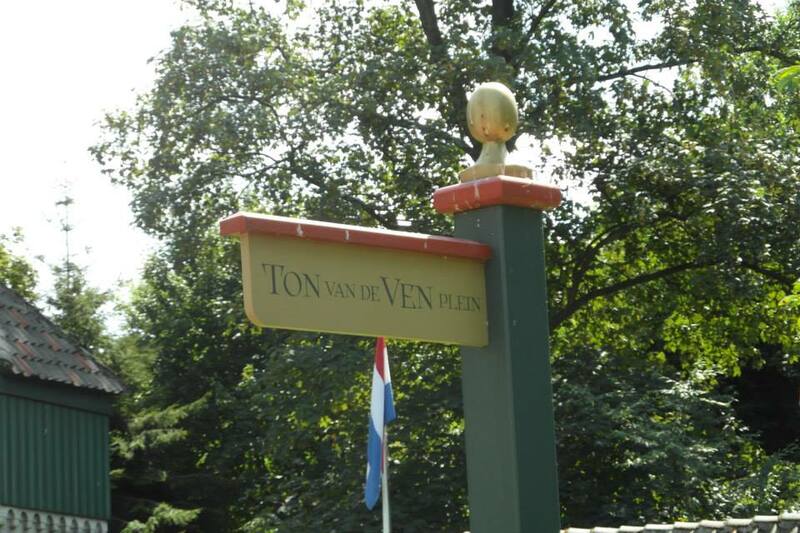 The corner of the park where you can find Droomvlucht and Villa Volta was named ‘Ton van de Ven Plein’ in later years, just as there is an ‘Anton Pieck Plein’ in another part of the park; a very high honour. The world has lost an inspirational designer, who will be remembered for his unique creative talent which will continue to be enjoyed by all who visit Efteling. Maybe you’d think not, but this is definitely the way to do it. Whoever thought they’d ever see their wife belly dancing in Fata Morgana?! The most impressive thing though, was the real Tiger! ‘We’re continuing to build on dreams…Expansion of Efteling Village Bosrijk’. 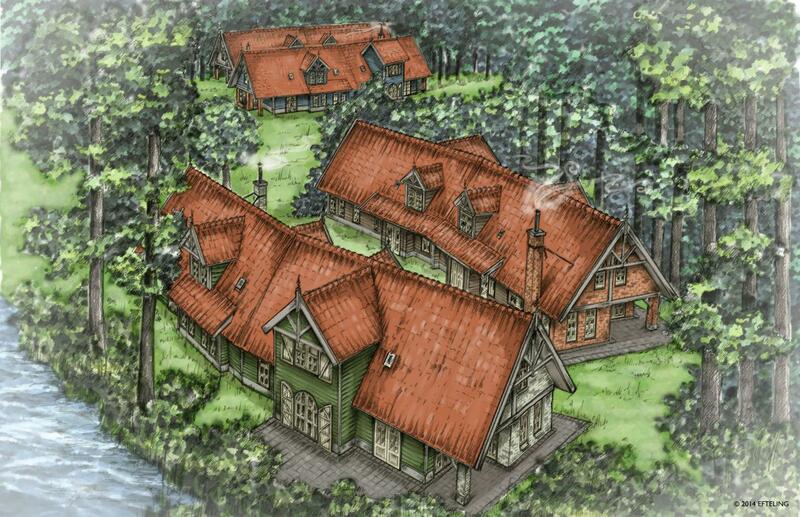 Concept art for the new accommodation. Construction is set to finish in mid-2015. Click here to see how it’s coming along. Also getting some TLC is the house of the five senses. Mainly the roof. That thatched roof must look it’s best since it’s the bold and beautiful entrance to the park! Efteling are currently fixing some bald patches (that happens when you get older, even to thatched roofs) and most likely removing a lot of moss that has being growing there for a while. It is mainly the Efteldingen store that is covered over at the moment. Last but not least…well, we actually don’t feel too excited about this last one in honesty. It seems as though there’s an Aquanura 3 on the way to Efteling. Yes, 3…already. Some WET employees (the guys who created the show) have landed in Efteling and have been testing some new sequences out at the Vonderplas. It seems very early for phase 3 of the show considering that part 2 only started earlier this year (with preview shows at the end of last year). Also, most of the music from the park has already been used in the first two shows, so that does leave the question: which music will they use next? It has been pointed out that this could be a show specifically for Winter Efteling, but that’s pure speculation. It’s a mystery for now, so we’ll wait and see! The Pagoda is also listed as reopening at the end of October. It was said when the new CEO of Efteling, Fons Jurgens came along, that he would be concentrating more on maintenance of what was in the park rather than adding new things. Well there’s a bit of both going on at the moment and that’s great! Fata Morgana is 28 years old now, and sometimes it feels like it could do with a refresh. The ride has had a number of small changes over the years, inside and out, including new masks for the characters and many changes to the building itself. The main difference with the ride will be new boats, which we’re quite interested to see. Although details of the changes are sketchy at the moment, it seems that the changes will be more ‘enhancements’ than massive differences in the ride. For example, the lasers in the Tilt Room were originally red, then they were changed to green, then this year they were changed back to red…so we’re expecting small changes like that. There are many small details which have become noticeable after riding, such as limbs not seeming to be attached to the figures properly, effects not working or figures simply looking very rigid and dated. Although we’re not expecting the animatronics to change, (there’s 104 of them!) it would be nice to see them get a little TLC. In fact, not long ago, we’re sure that the Tiger got a new fur coat! Check out this old video of the ride to get a closer look at the figures, you can see that many have not changed over the years. 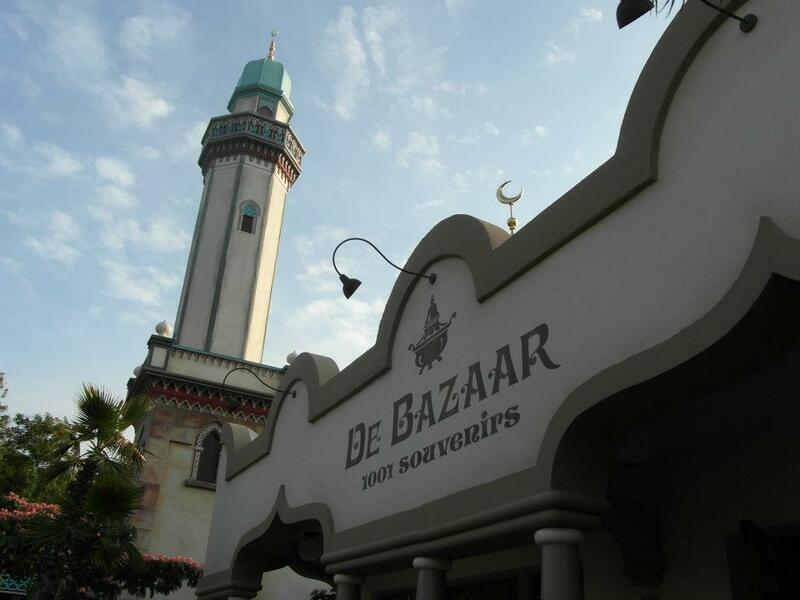 Next, maybe Efteling could sort us out some Fata Morgana themed souvenirs for the Bazaar, instead of hookahs and random jewelry! It is undeniable that Efteling’s architecture is varied, interesting, and beautiful! One of the first buildings you see after you’ve walked through the main entrance is Fata Morgana, and it definitely falls under the ‘beautiful’ heading. Click here to take a look at some Fata Morgana photos. So here’s some more Fata Morgana Music! If you’re an Efteling fan, you know how important the music is to each of the attractions. Fata Morgana’s music is one of the most recognisable, so we had to share it as part of Fata Morgana February! Many years ago, the Fata Morgana store was home to a lot more souvenirs that were tied into the ride, and into the park itself. 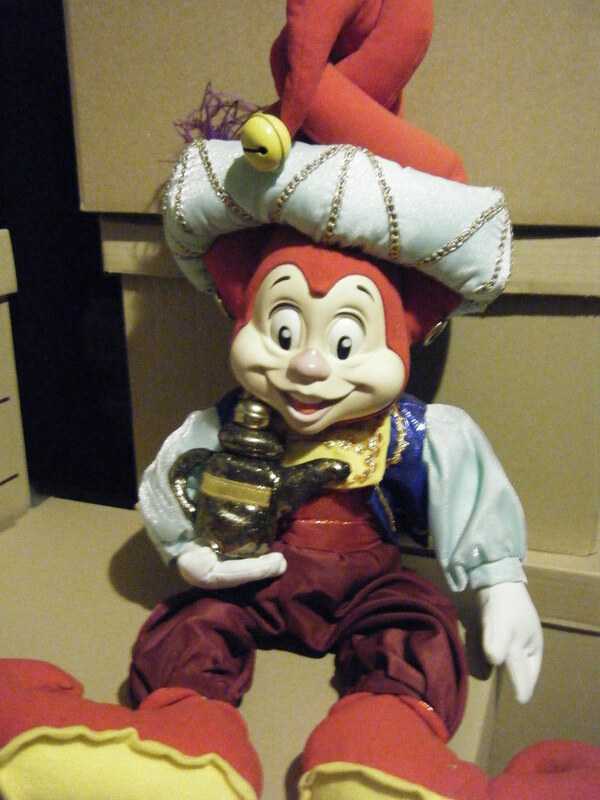 In a time when the park’s mascot, Pardoes, was also more heavily featured in the park, Fata Morgana was the place to find Pardoes dressed in his best Arabian-themed outfit. He was also seated on a yellow flying carpet, but it flew away for the photo.